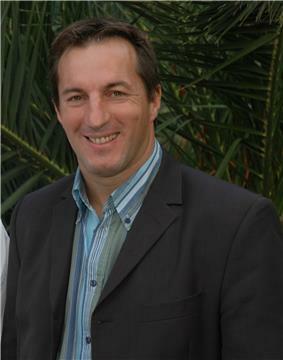 Philippe Sella (born 14 February 1962 in Tonneins) is a French former rugby union player, who held the record for most international appearances until beaten by Jason Leonard. He became a member of the International Rugby Hall of Fame in 1999, and the IRB Hall of Fame in 2008. Sella joined Saracens in 1996 from French side Agen. He and Australian Michael Lynagh were the catalysts for Saracens as they made the transition into the professional era, and Sella's presence helped other players make up their minds about joining the up-and-coming club. He made a then world record 111 appearances (or caps) for France, and is one of only five players to have scored a try in every game during a Five Nations season. Sella was the linchpin in the midfield where he operated alongside stalwart Steve Ravenscroft. His experience, pace and vision helped Saracens to become a potent force in 1998 and his appetite for defence was amazing. He scored the opening try in the Tetley’s Bitter Cup final in the same year, a trademark Sella finish. He showed pace, power and vision to run, swivel and crash over the line with his try then signalling the way for the floodgates to open. He retired from rugby union later that year at the age of 36 and returned to France with his family. ^ a b "1999 Hall of Fame Inductees: Philippe Sella". International Rugby Hall of Fame. Archived from the original on 2012-09-12. Retrieved 2008-11-24. ^ "IRB Hall of Fame Welcomes Five Inductees". International Rugby Board. 2008-11-23. Retrieved 2008-11-23. Majendie, Matt (2002-12-02). "Taking the bull by the horns". bbc.co.uk. Retrieved 2007-06-28. "Philippe Sella – Simply the best". nobok.co.uk. Retrieved 2007-06-28. "Player Profile: Philippe Sella". zurichchampionship.com. Retrieved 2007-06-28. "Philippe Sella". rugbyhalloffame.com. Archived from the original on 2012-09-12. Retrieved 2007-06-28. "Total Rugby TV: Show 86". irb.com. 2006-11-20. Archived from the original on 2007-01-25. Retrieved 2007-06-28.